The Salt Lake City Public Safety Building was named one of "America's Most Indestructible Buildings" along with One World Trade Center in New York and The U.S. Bank Tower in LA by Bob Vila on MSN.com. Click here to see other most indestructible buildings. Awards for 2017 Most Outstanding Projects presented December 12 by Utah Construction & Design (UC&D) include three GSBS-designed projects among the 35 receiving awards determined by a panel of 7 industry professionals. 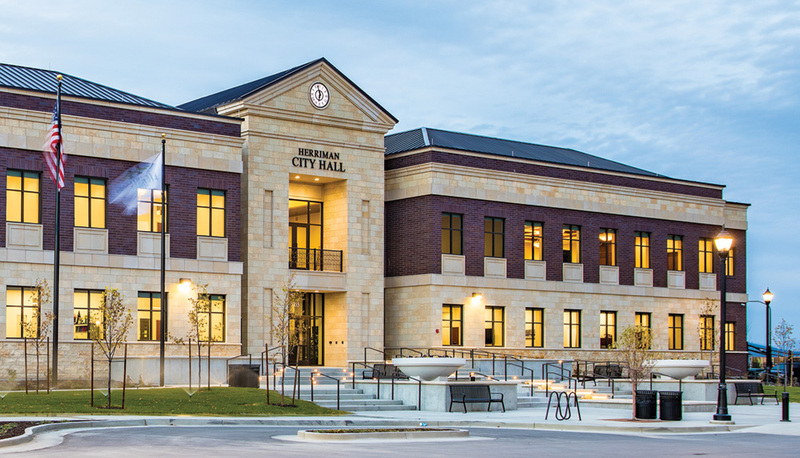 GSBS is recognized in the December issue of Utah Construction & Design in three categories for its design of Herriman City Hall and Towne Center (Best Municipal Project), Home Depot Bulk Lumber Distribution Center (Best Industrial Project), and Regent Street (Best Public Space Project). Herriman City Hall is the centerpiece of The Towne Center, a 10-acre park with a splash pad, ice ribbon, a history walk, large playground, gazebo, and an amphitheater with a band-stand. It consolidates city activities under one roof, allowing residents access to all government services. In addition to providing city services as well as the Justice Court, the new building houses the Unified Police Department’s Herriman Precinct. Home Depot's Bulk Lumber Distribution Center is a 260,000 square foot structure for indoor and outdoor storage and staging of lumber products. It is served by 2 rail spurs, one serving the outdoor area and one extending 300 feet into the building. This spur, along with two truck lanes running the length of the building provide weather protection for sensitive materials. There is also a 5,000 square foot office area. 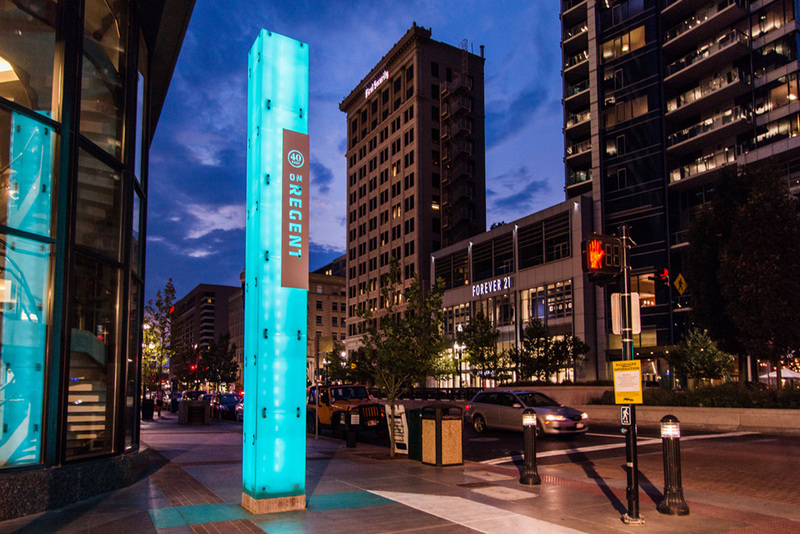 The Redevelopment Agency of Salt Lake City hired GSBS Architects to design plans for Regent Street located between 100 and 200 South, parallel with Main Street. The space opened in the Fall, a unique thoroughfare where the look, and function was designed for people to enjoy themselves and the built environment. It is scaled for people, not cars, and is generating a rhythm of its own. 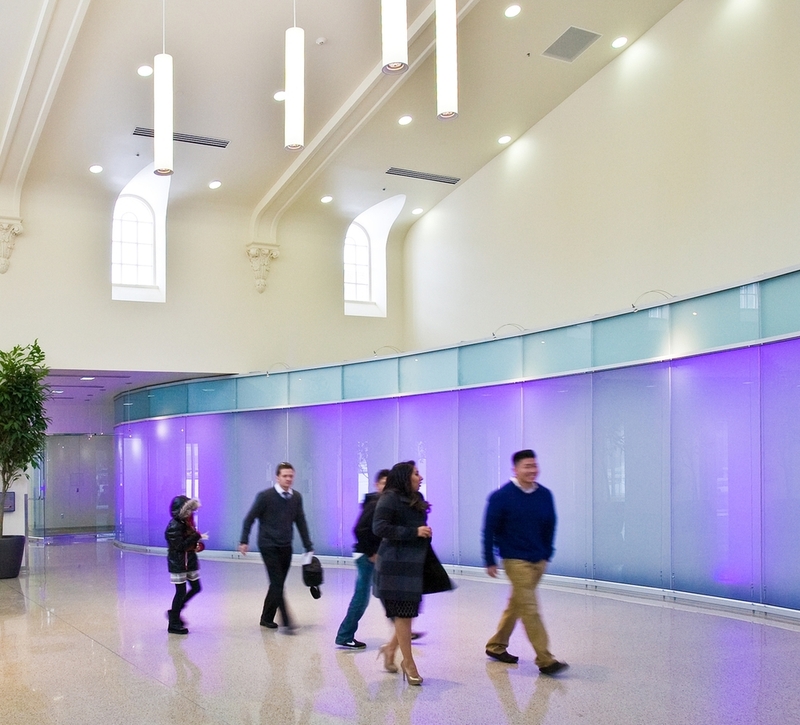 GSBS President Kevin Miller said teams of designers, contractors, and engineers worked hand-in-hand to create these Utah projects which are recognized among the best in Utah. A once-notorious Salt Lake City back street appears destined for some artistic respectability. Right next to construction of the new performing-arts center on Main Street, the city is launching a $12.8 million face-lift for Regent Street, Orpheum Avenue and a disused service alley off Main to be dubbed Regent Walk. If the plans come true, the renovation will transform what was once called Commercial Street — home to the city's red-light district, complete with brothels, taprooms, gambling halls and later, several newspapers — into the nexus of an emerging downtown arts district. The project is meant as an appealing complement to the $110 million, 2,500-seat George S. and Dolores Doré Eccles Theater, under construction at 135 S. Main St., while adding an inviting and walkable north-south corridor between the Gallivan Center and City Creek Center. For employment opportunities, check our Careers page.